As he stands defiantly before a demonic enemy, the inferno ranger, traveler of the fiery abyss, raises his jagged sword. You may not fight demons, but you can wield the Inferno Ranger LARP Sword the next time you rush into battle! The core of this closed cell foam LARP sword is made from flexible fiberglass and features a Kevlar tip that enhances the durability of the blade and protects against puncturing. 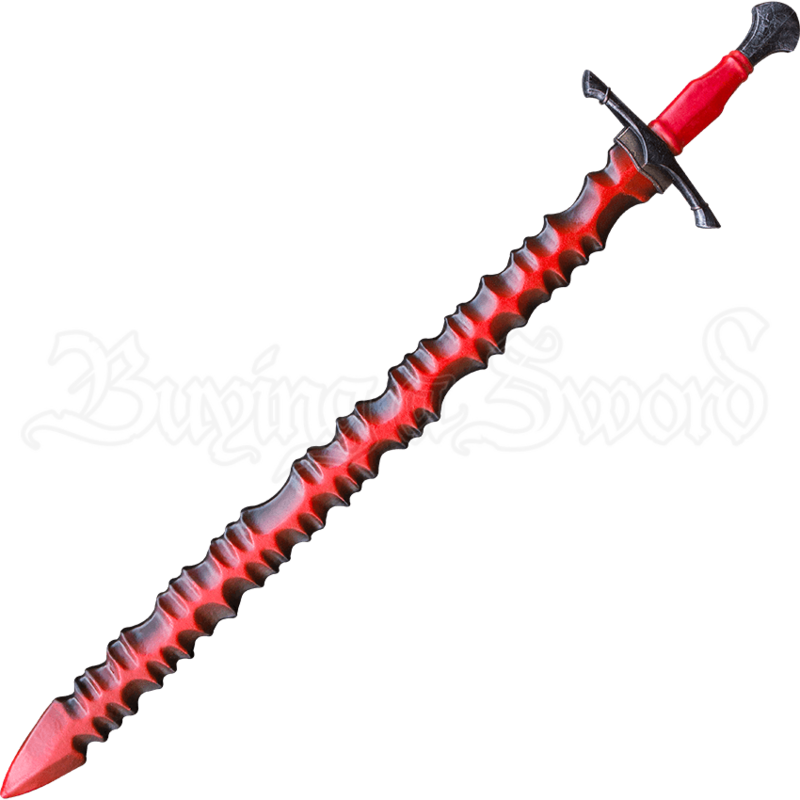 The blade bears a jagged, fiery appearance and has been hand painted black and red. The guard of the sword features a slight upturn and has been painted to look like black metal, which matches the pommel and contrasts nicely with the red handle. Fight with a burning ferocity when you carry this epic blade into battle! 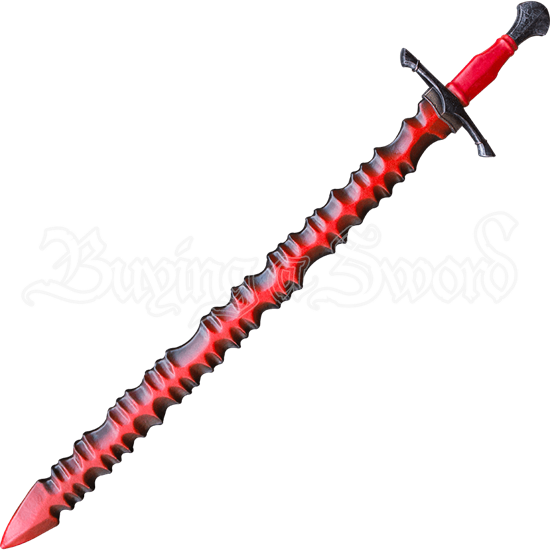 The Inferno Ranger LARP Sword has an overall length of 39.4 inches. Please be aware that this measurement can vary slightly, as it is a hand-made item.